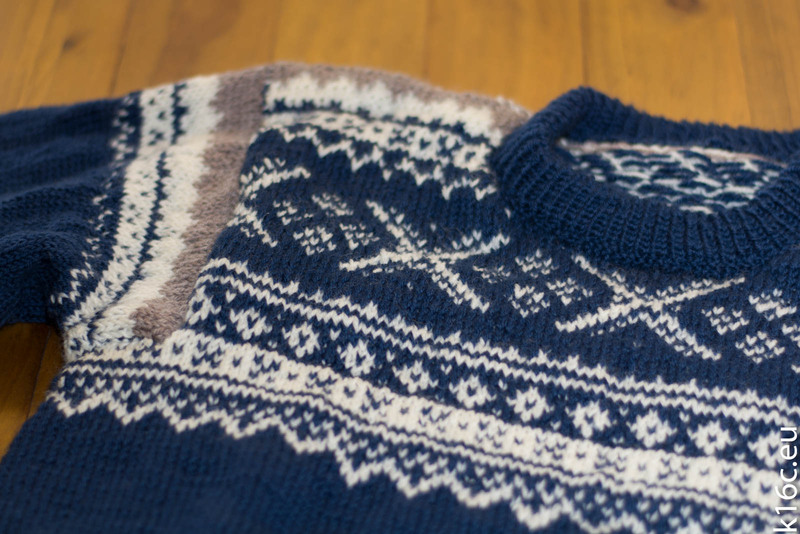 As well as the other red Norwegian sweater I knitted this one with the Fair Isle Technique. It is easy to learn. 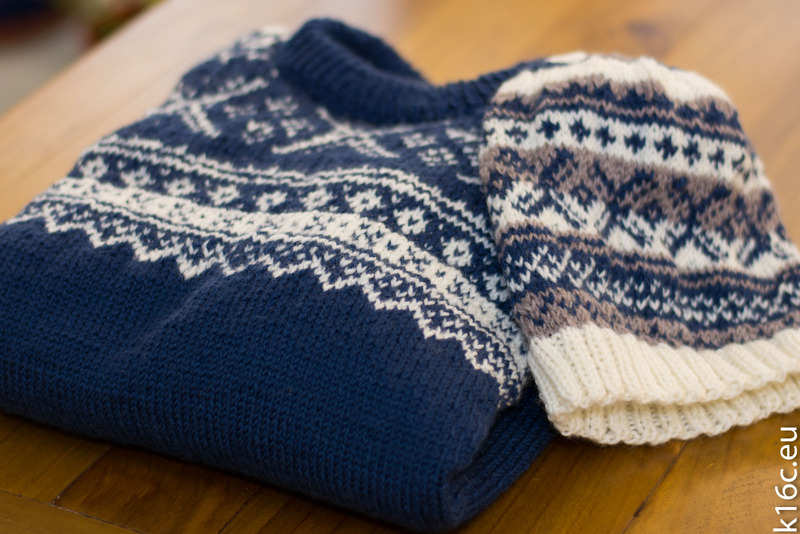 When it comes to two color knitting it means having the one color on the left hand and the other color on the right hand. 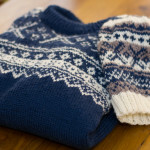 But there are a lot of explanations on the web (here’s the Wikipedia article about Fair Isle Technique). 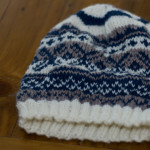 It is faster and easier to knit Fair Isle. 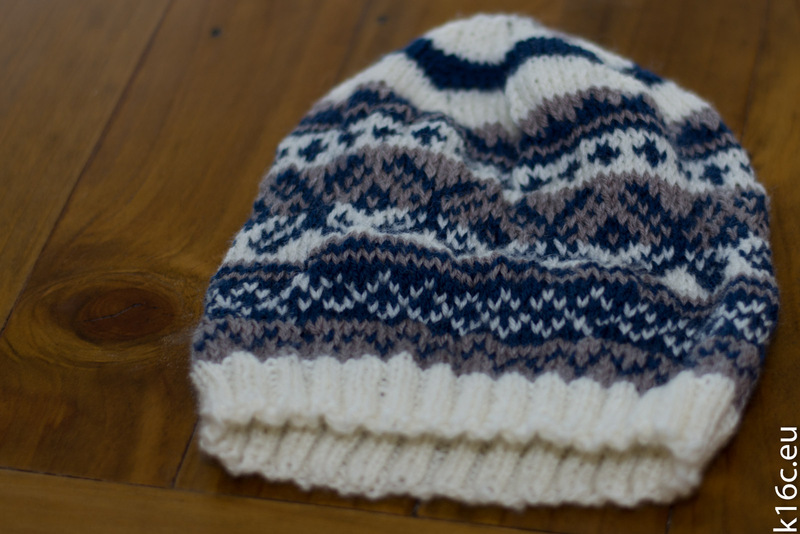 It does not require any special knitting skills beyond the basic knit stitch. I can really recommend this technique when starting two color knitting, it results in to a nice and even front as well as a nice backside. 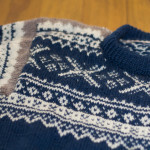 Just as the other sweater the instructions can be found at DROPS design (model DROPS Extra 0-809).